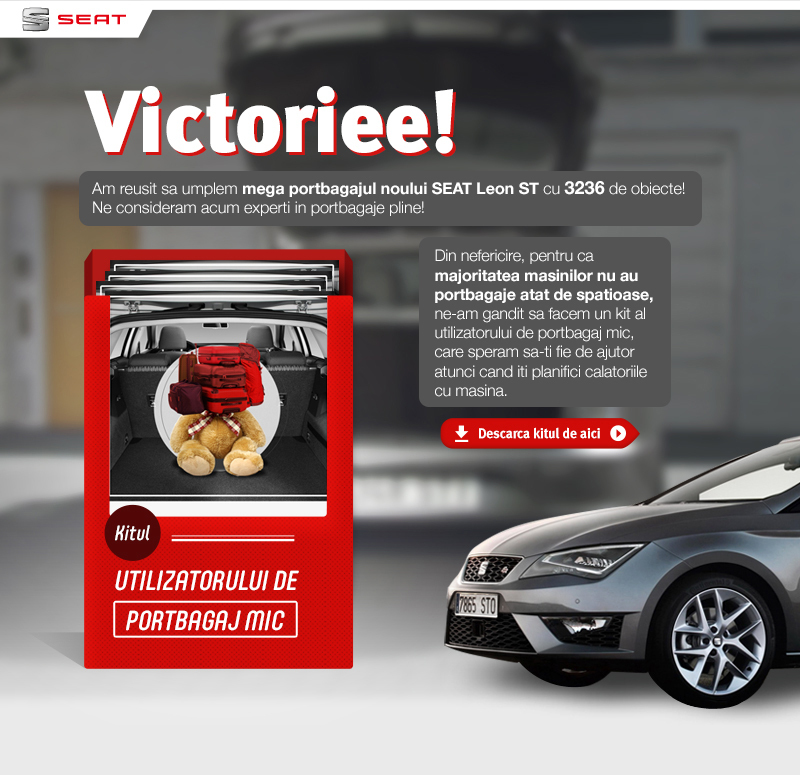 Our task was to develop a digital campaign for the launch of the new SEAT Leon ST, a car with an extremely spacious trunk of 1470 liters. The message: More space, more life. Under this concept, we launched a series of digital activations on different media: microsite, email, Youtube pre-roll and so on. The main channel was the microsite, which was designed as a virtual test-room where we challenged users to upload any kind of object they could think of and see how it fits in Leon ST’s trunk. Some of the users were offered a test drive, so they could test the car firsthand. 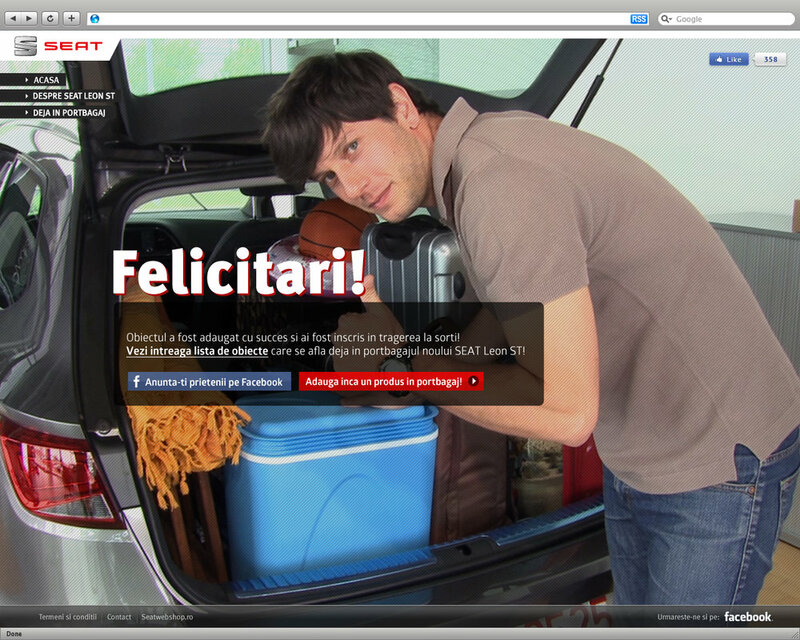 In order to showcase the large space of the car, we created a virtual test-room, where users could pick any object they could think of and upload it in the trunk with the help of our special guy. We had everything from books, to drilling machines, guitars, pirates and even a needle. We shoot over 70 clips with various objects that users could choose from. Searching for a rabbit/bicycle? Look no further, it’s in the trunk of the new SEAT Leon ST.